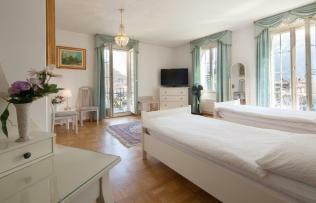 We welcome you to Hotel Central Continental, and wish you a pleasant stay in Interlaken. 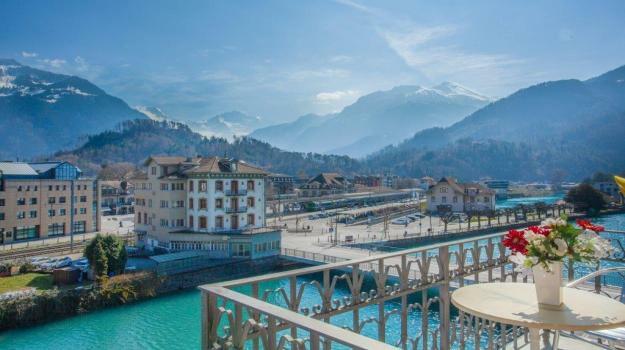 Interlaken is an international holiday resort famous for its glamour and social charakter. The Central Continental Hotel, located in a unique setting on the bank of the Aare River, a mere hundred yards from the Interlaken-West train station and the boot landing station, is also very elegant and of a high standard, and is situatet within easy reach of all neighbouring moutain track and cable railways. You may rightly expect our kitchen to be extraordinary, too. Not to mention our elegant restaurant. Our bar invites you to enjoy their delicious appetizers before a meal, or their fanciful cocktails in the evening. Night birds will find company downstairs in nightclub. Whether you come in sommer or in the winter, numerous leisure time activities are always available throughout the region. There are two elevators in the hotel at your disposal, as well as an underground garage. Our newly renovated, light an modern rooms provide everything needed for an enjoyable stay. 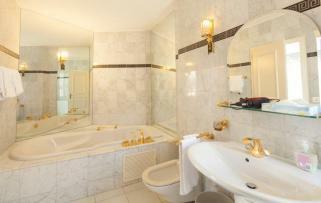 In each room you will find a shower, bath, WC, TV, and a telephone.